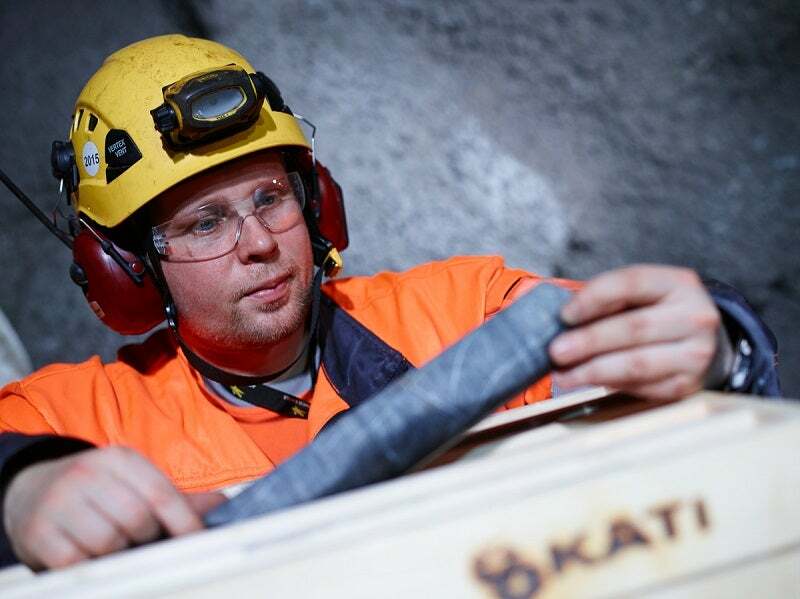 KATI is a Finnish company, specialising in diamond core drilling. We are one of the largest core drilling contractors in Scandinavia. Our goal is to provide our clients in mining and exploration industry with high-quality data on the geology of an area in an efficient and reliable manner. In addition to drilling, we carry out down hole surveys with modern devices to offer valuable additional data to our clients. We have extensive experience working in demanding conditions, from underground mines to superterranean sites and from arctic regions to the Sahara. Our operations have been based on sustainable development principles for years, and are certified to comply with the requirements of the ISO 14001 environmental management standard. We facilitate the implementation of our clients’ projects by taking the interest of nature carefully into consideration in our drilling work. We produce high quality information from underground in an efficient and trustworthy manner. The principal product is drill core, and we aim to achieve prompt delivery of this product to the customer every time. The main goal is to provide reliable and first-rate service to the industry, making us leaders in drilling efficiency and delivery reliability. Our customers consist of various major and junior exploration and mining companies, including the dimensional stone industry, environmental research institutes, power companies, Geological Survey of Finland, municipalities and other public-sector organisations. KATI headquarters are located on the west coast of Finland, about 150km south of Oulu. By using deviation surveys, the location of the drill hole in 3D can be located extremely accurately. This is essential information for the company who is planning mining activities, as it determines exactly the point where the piece of core in the core box has been drilled. We can offer the widest selection of deviation survey tools for various cases. As the first contractor in Scandinavia, we offer surveys with real north-seeking gyro, giving the most reliable survey result. We have designed and built our own modern core drilling units as the foundation of our extensive experience. Our drill rigs are efficient, suitable for all kinds of terrain and they minimise the impacts of our work on the environment. In addition, they offer safe and comfortable working conditions for employees. 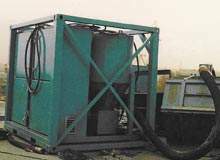 Underground rigs are included in the selection of drill rigs, as well as helicopter transportable fly rigs. A fly rig is a good option when you need to reach remote destinations. In the design and manufacture of drilling units, we have paid particular attention to environmental friendliness, operation in arctic conditions and occupational health and safety. The KATI drilling cabin is enclosed and so provides good working conditions for operators, even in tough conditions. Nearly all rigs are rubber tracked, which provides easier moving and minimises the stress to environment. One of the practical solutions created by our R&D, is a closed system, which enables to save up to 75% of water used in drilling as well as separate the cuttings from flushing water. This application is being used in sensitive areas where cuttings must be transported out of the area. One of the cornerstones of KATI’s success is competent personnel with a strong sense of responsibility. Continuous training maintains high level of skills and capacity of employees. Thanks to the modern drilling equipment and firm working moral, our crew achieves excellent drilling results. Finnish energy company ST1 is developing a geothermal project in Espoo, Southern Finland, and chose KATI as their cooperation partner. KATI offers drilling services that cover the needs of our broad spectrum of clients from mining and exploration to construction and ground monitoring. KATI offers a variety of field exploration services associated with initial ore prospecting studies, in collaboration with our skilled service providers Palsatech Oy and Geovisor Oy. KATI provides core drilling services, down-the-hole sampling, and surveys, even in sensitive environments. KATI's latest brochure on effective drilling in delicate environments. KATI Oy has deployed several drill rigs at Agnico-Eagle's Kittilä mine, as part of an extensive ore prospecting project. Anglo American Sakatti Mining chairman Jim Coppard has released a statement on KATI Oy, and the company becoming one of its preferred contractors. Boliden has a long-standing relationship with Oy KATI in the Aitik area, and has been using KATI as a drill contractor in and around Aitik since 2004. The KATI survey tool kit was expanded lately by the new GyroSmart tool. The new tool makes it possible to complete deviation surveys even in old drill holes. No drill rig is needed on site.